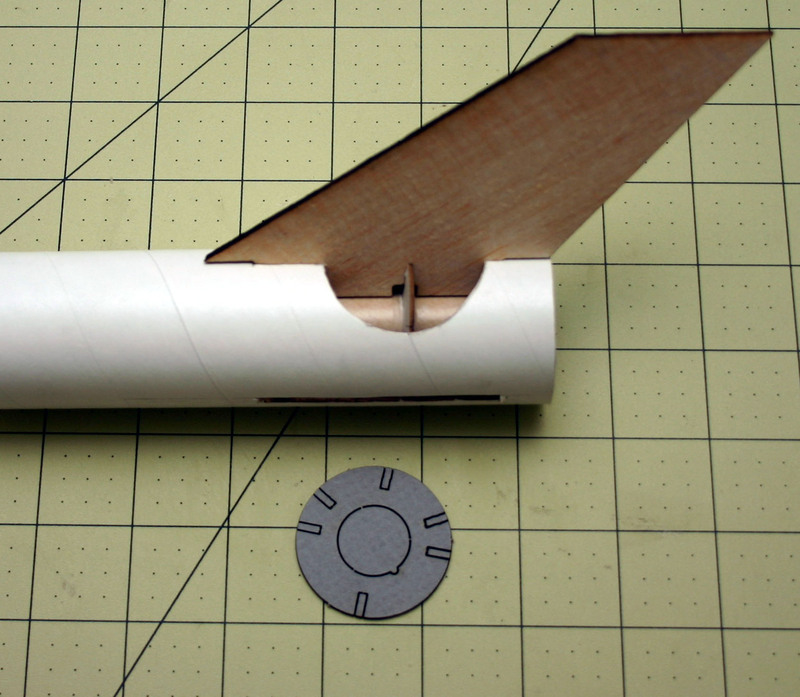 Now, build your rocket, and get aligned fins. Easy as pie. 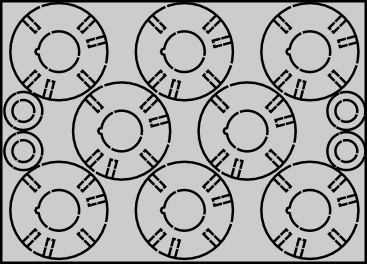 Developed by Qualman Rocketry, these are laser-cut centering rings which also will hold your fins straight. They can evenly space 2, 3, or 4 through-wall fins, holding them straight without the need for extra fin jigs for assembly. They are sized for most motor mounts and all common BT-sized body tubes. 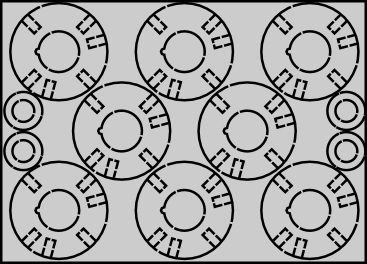 As a bonus, many of the sets include smaller centering rings which can be used as thrust rings in the motor mount tube. 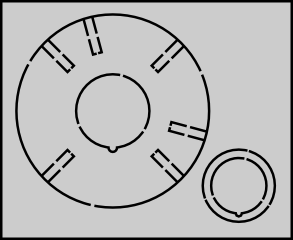 cutaway view showing a fin aligning ring The rings come with six slots which can be optionally removed. 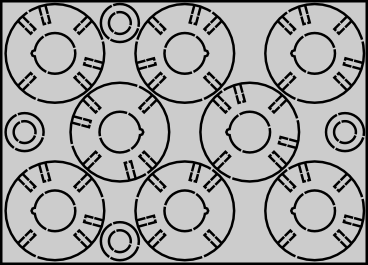 For 4-fin assemblies, remove the four at 90 degree intervals. For 3 fin assemblies, remove the three at 120 degree intervals. 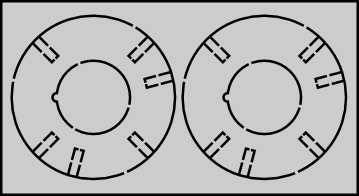 Tack the remaining ones in place with glue if you want to use it as a replacement to one of the cardstock centering rings. 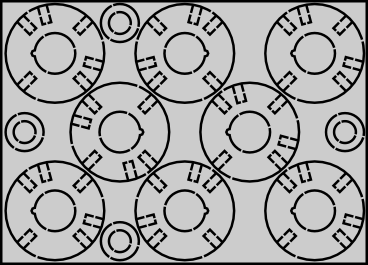 These can be also be used in high power rockets, as an additional ring added for alignment. It's recommended to not replace a plywood ring with a cardstock ring. First determine where you want the ring to connect to the fin..
Next, cut a small notch out of the fin's through wall tab. Don't remove too much, or you'll need to find a new location for the ring. Be sure to leave enough at the top of the fin's tab to fill most of the overhang depth listed below. 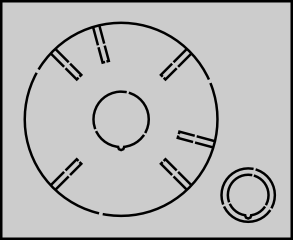 Measure where the centering ring would fit on the motor mount. Dry fit the pieces together to assure that they line up correctly. 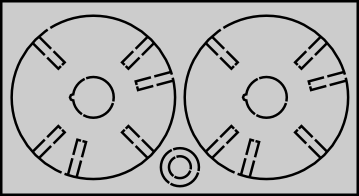 Affix the centering ring to the motor mount. 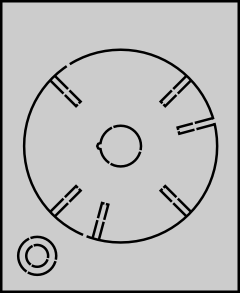 Affix the motor mount as per the plan's instructions, but be very sure to align the slots in the centering ring to the through wall slots. Fasten the fin as per the plan's instructions, probably gluing it to both the motor mount and the body tube. 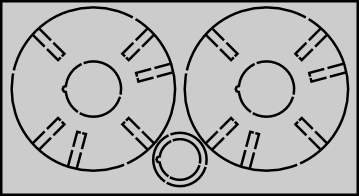 (plus 4 13mm thrust rings) 0.541"
(plus 2 13mm thrust rings) 0.541"
(plus 4 18mm thrust rings) 0.736"
(plus 2 18mm thrust rings) 0.736"
(plus 2 24mm thrust rings) 0.976"